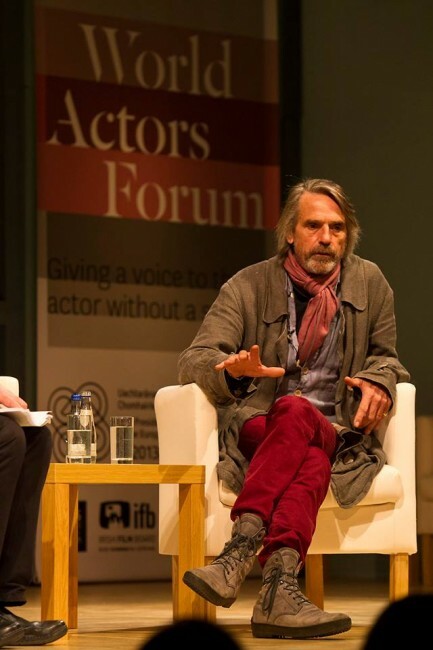 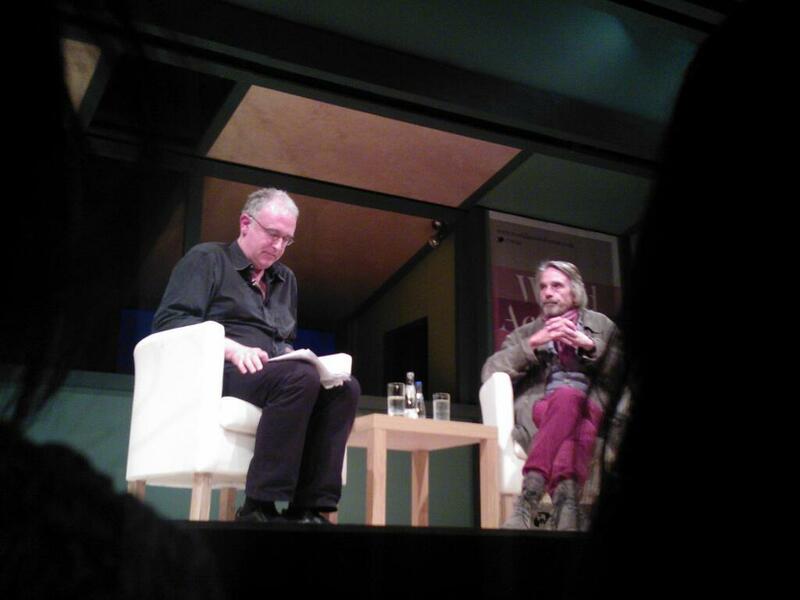 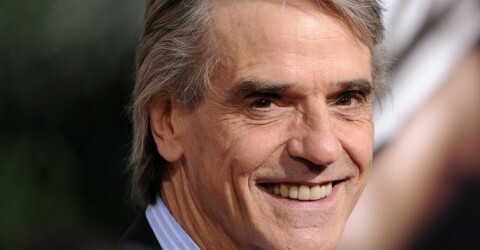 Jeremy Irons was in Dublin, Ireland at the Gate Theatre on Saturday 15 June 2013, to participate in the World Actors Forum. 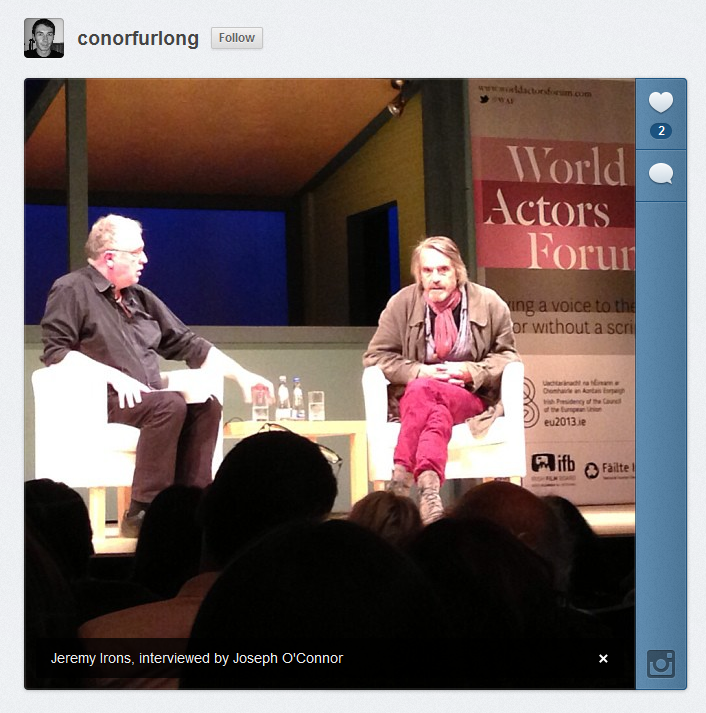 Trashed was screened at the WAF and, afterward, Jeremy was interviewed by Joseph O’Connor. 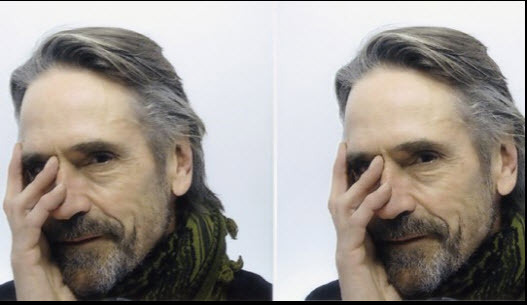 On the same day, Jeremy Irons was present at University College Dublin, to see Sinead Cusack receive an Honorary Doctorate Degree. 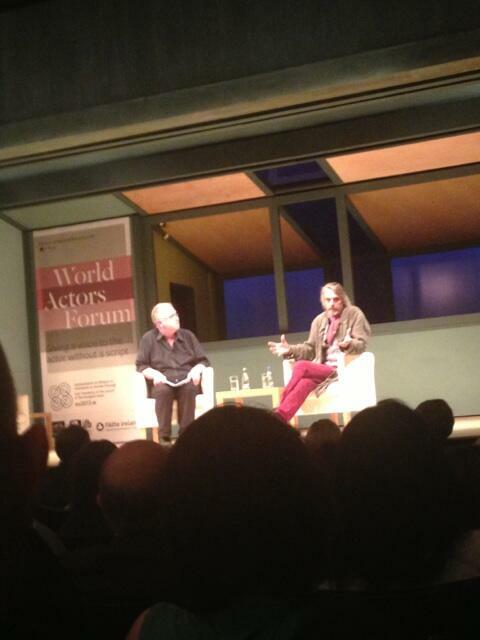 The World Actors Forum 2013 from ALONG CAME A SPIDER on Vimeo.